PTC Grand Finals: Stephen Lee captured his first ranking title in six years by outplaying Neil Robertson in the final in Galway. The 37-year-old from Trowbridge has been promisingly consistent over the past two months. He reached semi-finals of German Masters, quarter-finals of Welsh Open and made his first full ranking final appearance in six years during Haikou World Open, unfortunately losing 10-1. Lee continued his great run this week in Galway, he beaten World Number 1 Mark Selby by 4-0 en route to make back-to-back finals. 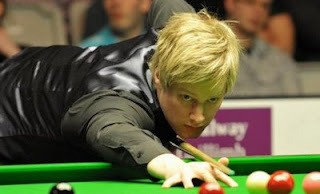 Neil Robertson set up the final after defeating Stephen Maguire by 4-0, reaching his tenth final of his career. Robertson kept 100% winning record in the nine finals he reached. However, his incredible record was broken by Stephen Lee today. Lee took the tense 47-minute opening frame on the green. Robertson had two scoring chances in the next frame but he missed to let Lee in with a 52, extending his lead to 2-0. Once again, the Aussie was the first among the balls in the third frame but 22 points was never enough to win a frame. A poor safety from Robertson and a cracking long red brought Lee the brink of victory. Lee looked like he was claiming the victory after his break of 66 but the cueball was off when he potted the final red. Robertson cleared up to force a respotted black, gripping the last chance to stay in the final. However, Robertson left Lee an easy black to the middle pocket after safety exchange. 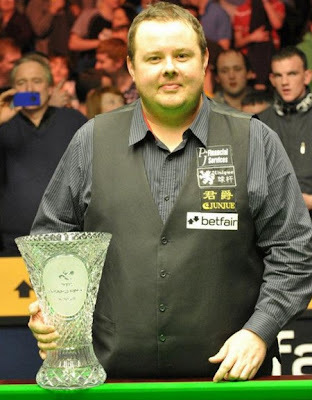 Lee potted the black to claim his fifth ranking title. Robertson said: "Stephen's safety must be the best in the world at the moment and the way he's been playing recently it would have been a travesty if he hadn't won a tournament. Good on him because he looked dead and buried a few years ago but he has resurrected his career.'' He added, "It's disappointing to lose a final but it doesn't feel as bad as I thought it would. I've won nine out of ten finals which is still a good record."